The owners of this quiet, off-street Waihi motel contacted us after recently purchasing the business that was running previously without even an email account. They required quality commercial photography and a brand new website built on a content management system (CMS) to help them self-promote their offerings to their global customers. 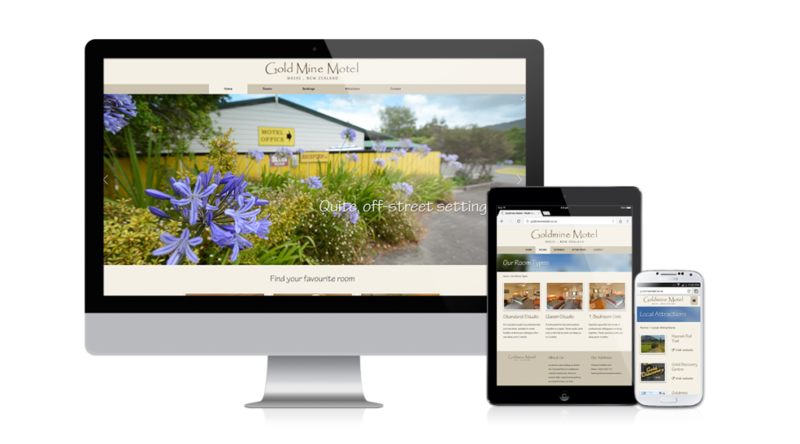 We hand-crafted this custom WordPress theme with 5 different page templates to help them take control over their content, enabling them to easily manage and promote their motel to the world.